A magical wind blows over the baronies! Explore mysterious locations and gain access to arcane sources of power. Cast powerful spells and surprise your opponents. Now that five families are claiming the title of king, the struggle for dominion has never been so fierce. 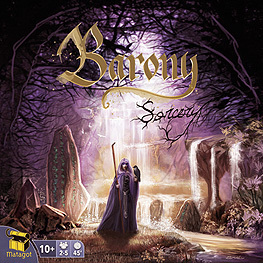 Barony is required to play this expansion.